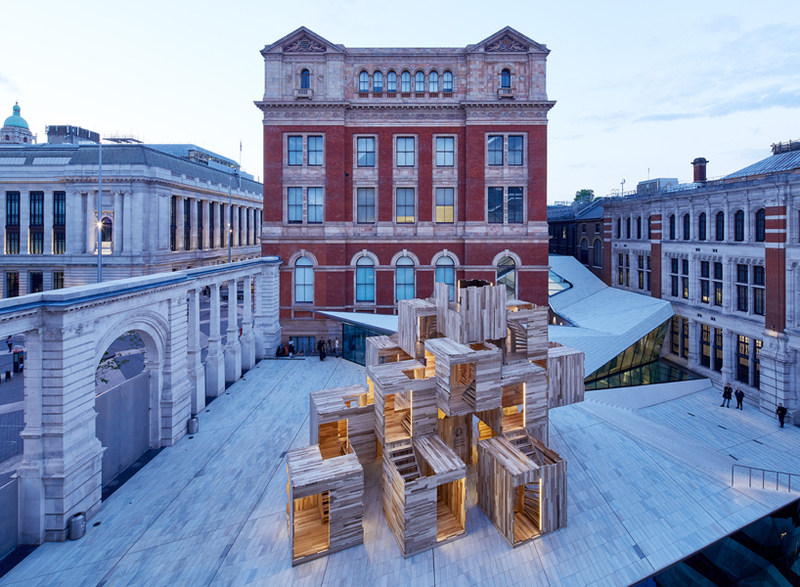 During London Design Festival 2018, Waugh Thistleton Architects showed their interactive installation ‘Multiply’, outside of the V&A museum. 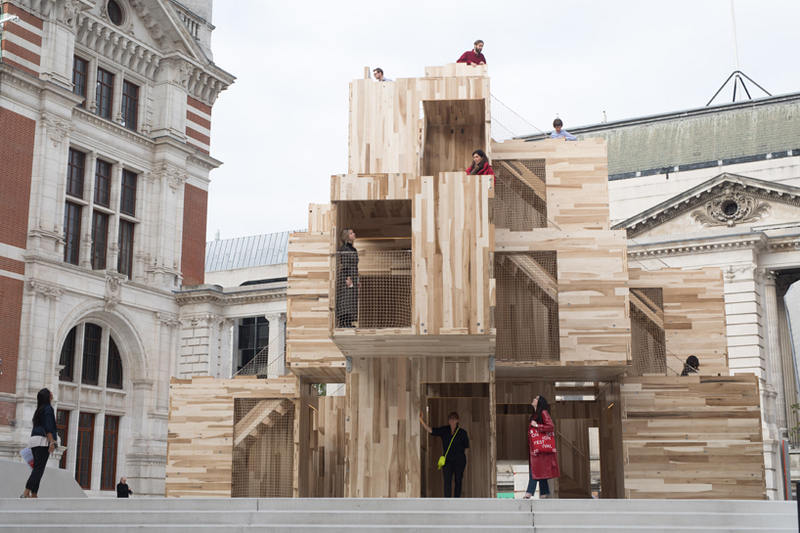 The creators encouraged visitors to explore the work and freely climb through staircases, rooms, and bridges and to enjoy various lookout points. 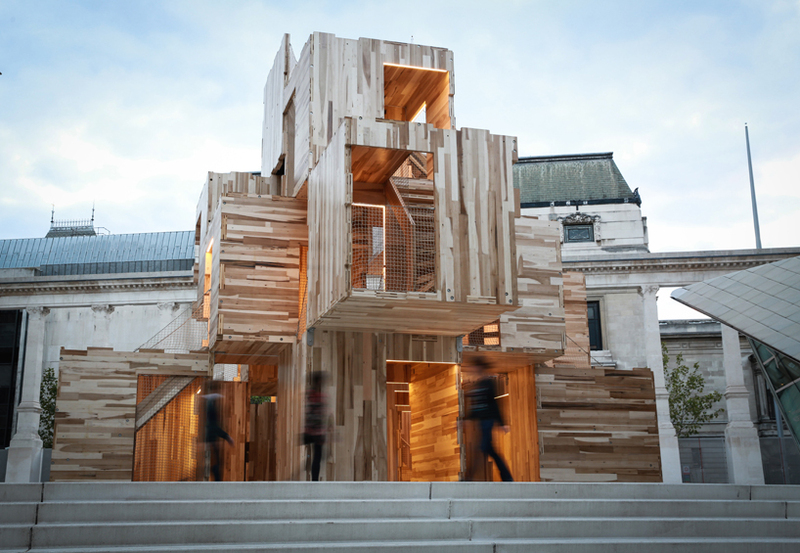 The installation was engineered by ARUP and informed by the American Hardwood Export Council (AHEC), who used sustainable, carbon-negative construction materials. 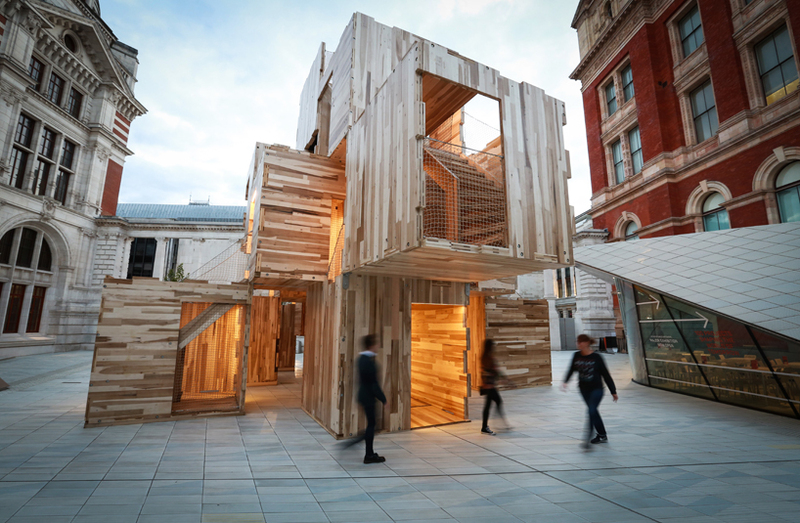 The interaction and choice of materials are meant to get visitors thinking about two modern, global challenges: the need for housing and the urgency to fight climate change.